The change of seasons can do a number on your skin, especially during the transition from fall to winter. While we’re lucky to live in the south and not have to deal with the bitter winters, the cooler weather still affects our skin! One of the most common issues during winter is dry skin, which can lead to your complexion looking dull. So- what can you do to keep that glowing summer skin all year long? It all comes down to your skincare routine! Skin tends to be driest in the winter because that’s when temperatures and humidity levels fall. Cranking up the heat indoors and taking hot showers- most likely two of your favorite cold weather activities- can also reduce humidity and dry out your skin. You’ve swapped out your summer clothes for sweaters and leggings- now it’s time to do the same for your skin care products. Lightweight moisturizers may not cut it during those cold, windy days. 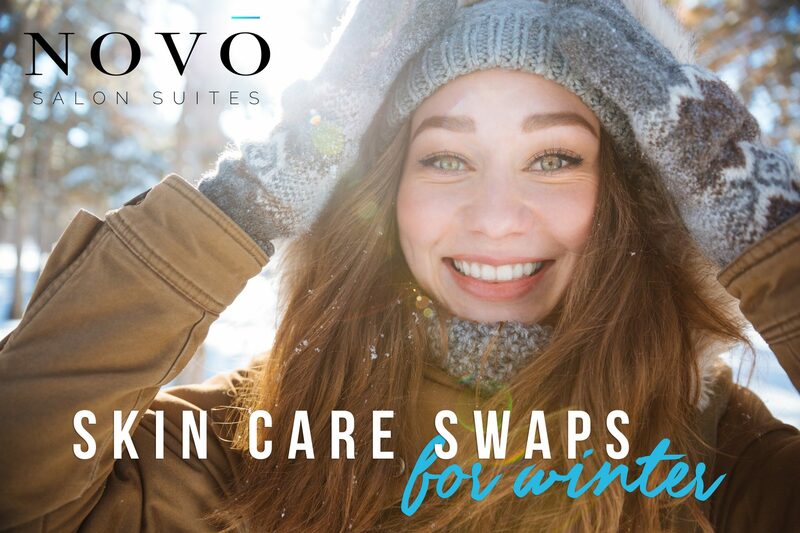 Here are four swaps you can make this winter to keep your skin looking bright and feeling smooth. Facial cleanser. Every good skin care routine starts with a refreshing cleanser. During the winter, it’s important to make sure you’re not causing unnecessary dryness by using a harsh cleanser. Instead, use a cleanser that soothes and hydrates, like micellar water. Micellar water is a gentle, no-rinse cleansing option that removes impurities without drying the skin. Moisturizer. It’s said that the best time to apply moisturizer is when your skin is still damp because it helps lock in hydration. So after cleansing or taking a shower, slather on those face and body lotion for extra hydration. Try water-based moisturizers formulated with hyaluronic acid and aloe vera water for comfort and long-lasting hydration. Hand cream. Moisturizing your hands, for some, is a part of skin care that is most often forgotten. Your hands are out in the elements just as much as your face and frequent hand-washing can cause them to become dry. Keep a thick, rich hand cream in your purse so that you can moisturize on the go! Soap. It’s no secret that some soaps can strip your skin of moisture. In the winter, be sure to stock up on fragrance-free, hydrating soaps and body washes instead of harsh ones.